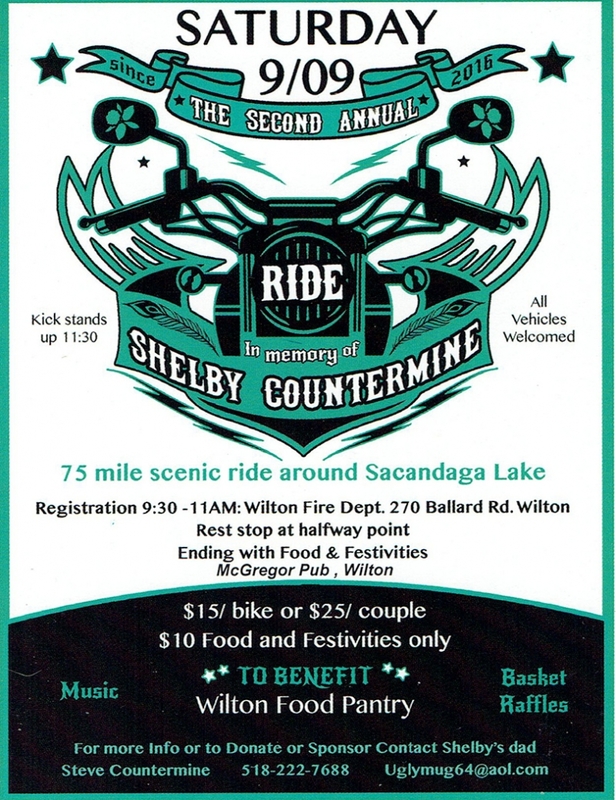 Last year Steve Countermine organized the first Ride for Shelby to honor his daughter and to raise funds for the Wilton Food Pantry. It was a huge success! This year the organizers hope to exceed their first year success with an even greater get together. Even if you just want to enjoy the food and festivities and forego the ride, then join us at McGregor’s on Route 9. See the poster for contact information.